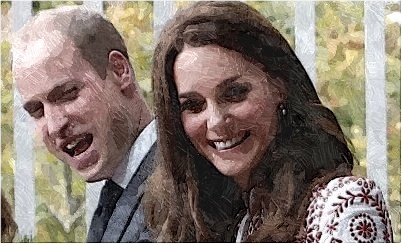 Duchess Kate and Prince William arrived in Vancover while having their eight-day tour of Canada. The royal couple joined Canadian Prime Minister Justin Trudeau and his wife Sophie Grégoire Trudeau to meet Canadians, including some of the nation’s young leaders. They allowed their kids Prince George, three, and 16-month-old Princess Charlotte to be with their nanny. Meanwhile, Duchess of Cambridge chose £4,000 red and white Alexander McQueen frock for her first full day of public engagements. She matched her dress with a red Miu Miu Bow-embellished suede shoulder bag and red shoes.